Deaf people make up close to 3.4% of Uganda’s population and are one of the most excluded minority groups in the country. A recent survey by UNAD estimates that 87% of Deaf people have no access to social services and this has been as a result of communication barriers that limit them from accessing education, health, legal and public services among others. Uganda Sign Language (USL) is recognized as an official language in Uganda, despite the progress, it is a challenge to teach and extend USL to the potential learners due to lack of full-scale and reliable, affordable USL digital learning content. Teaching USL has been limited to manual training materials that are not easy to use, expensive to maintain and not updated. The project will aim at making access to digital USL open source digital learning content available while at the same time maintaining its originality and quality. The key output will include a strategic guidance document to inform the design and development of USL digital learning contents, which will result in a mobile application, an eLearn Webportal, and DVD modules. This project will help to mainstream USL so that deaf students and persons can access education and other services. Service providers like teachers, nurses, doctors as well as parents, care-takers and family members of Deaf people, and the whole community can finally learn USL to achieve inclusion of Deaf people and enable communication between them to reduce stigma and discrimination. The project will also build the capacity as well as equip sign language instructors and organizations working with Deaf persons with skills and knowledge on the development and usage of Digital Uganda Sign Language content. 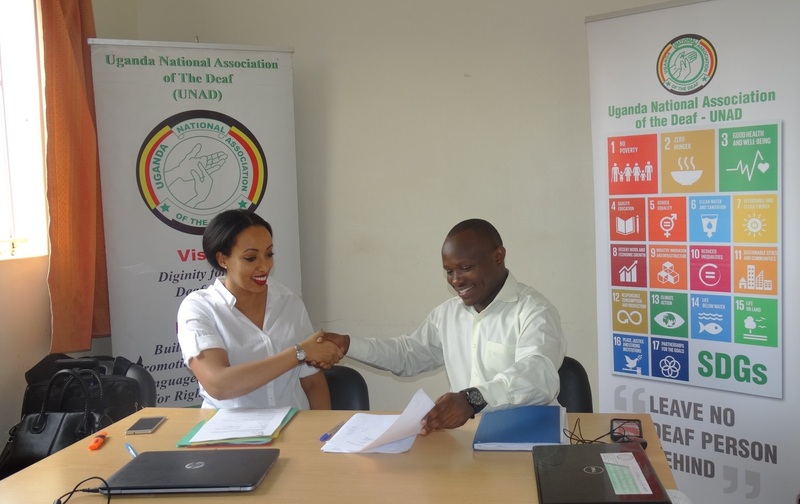 Uganda National Association of the Deaf (UNAD) is a registered non-governmental organization and an umbrella organization of Deaf persons. It was established in 1973 and its primary task is to look after the interest of Deaf people having access to and communicating in Ugandan Sign Language.